It begins with a violent robbery attempt on Cotton’s former supervisor, Stephanie Nelle, who’ s far from home on a mission that has nothing to do with national security. 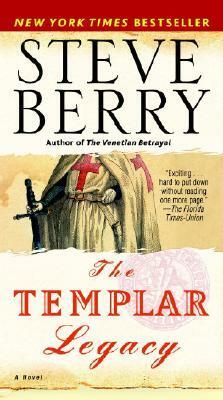 Armed with vital clues to a series of centuries-old puzzles scattered across Europe, she means to crack a mystery that has tantalized scholars and fortune-hunters through the ages by finding the legendary cache of wealth and forbidden knowledge thought to have been lost forever when the order of the Knights Templar was exterminated in the fourteenth century. But she’s not alone. Competing for the historic prize– and desperate for the crucial information Stephanie possesses–is Raymond de Roquefort, a shadowy zealot with an army of assassins at his command.